Infinite Lives » Trick or treat! It’s a’me, Luigi! Trick or treat! It’s a’me, Luigi! Happy Halloween, almost! Here, a crafty mom has outfitted her son Levi as Luigi. 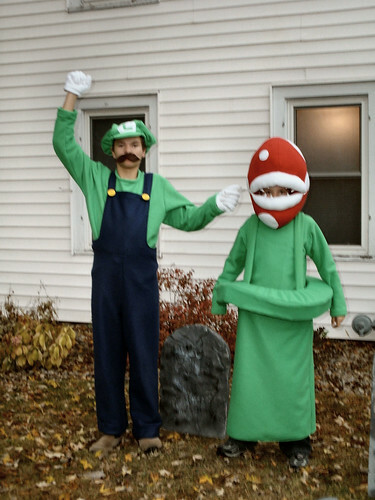 And check out young Liam’s Piranha Plant costume! Way better than store-bought—as if you could buy a Piranha Plant off-the-rack anyway.